EA Labels President Calls DRM a "Failed, Dead-End Strategy," Says SimCity "Plays Like an MMO"
At GDC, GamesIndustry.biz had the opportunity to talk to EA Labels president Frank Gibeau about SimCity and its always-online requirement, which caused a considerable amount of grief to many players at the game's launch. Gibeau acknowledged this, but insisted that what SimCity had wasn't DRM. "I was involved in all the meetings. DRM was never even brought up once," Gibeau told GI.biz. "You don't build an MMO because you're thinking of DRM—you're building a massively multiplayer experience, that's what you're building." He went on to describe what they had in mind when designing SimCity. "DRM is a failed dead-end strategy; it's not a viable strategy for the gaming business. So what we tried to do creatively is build an online service in the SimCity universe and that's what we sought to achieve." What they wanted to achieve with SimCity, according to Gibeau, is a connected and collaborative city-building experience. "At no point in time did anybody say 'you must make this online'," he added. "You have to innovate and try new things and surprise people and in this particular case that's what we sought to achieve. If you play an MMO, you don't demand an offline mode, you just don't. 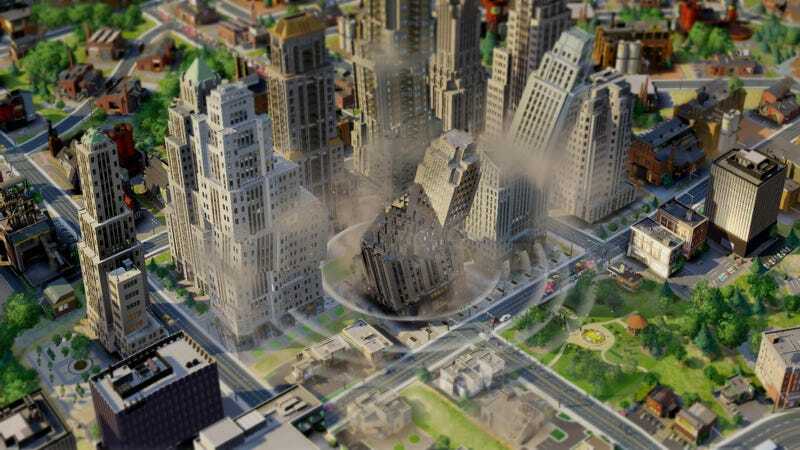 And in fact, SimCity started out and felt like an MMO more than anything else and it plays like an MMO." This fits with Maxis general manager Lucy Bradshaw's earlier statement that an offline mode was never part of Maxis' vision in the first place. Still, it makes you wonder how much more smooth SimCity's launch might have been, had the team decided to take a more offline-oriented route.